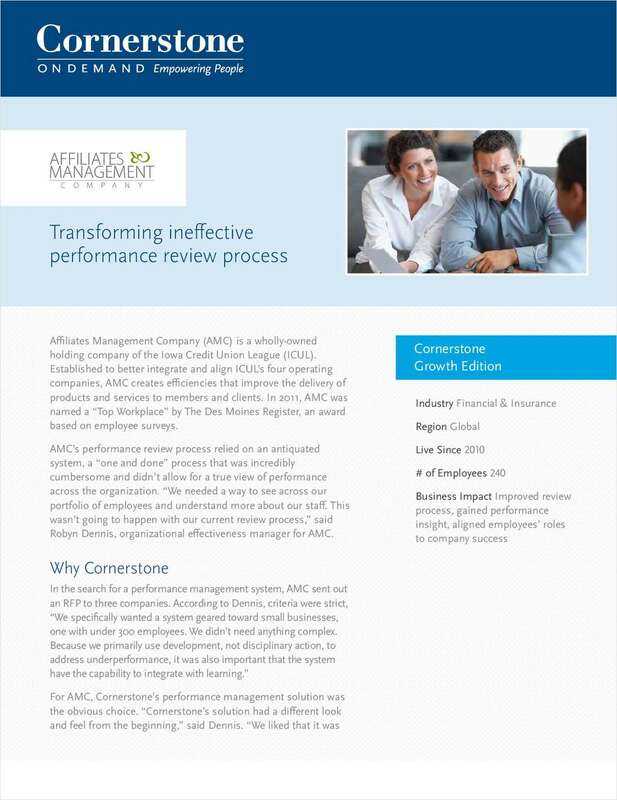 "AMC Case Study: Transforming Ineffective Performance Review Process"
Free Case Study: "AMC Case Study: Transforming Ineffective Performance Review Process"
Annual performance reviews…are you just over it? Affiliates Management Company (AMC) was, too. By submitting this content request, I have legitimate interest in the content and agree that Cornerstone OnDemand, Inc., their partners, and the creators of any other content I have selected may contact me regarding news, products, and services that may be of interest to me.